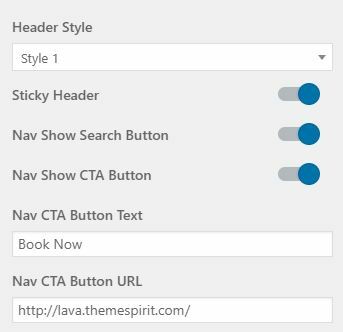 To use Lava theme, a working installation of WordPress version 4.5 or greater is required. 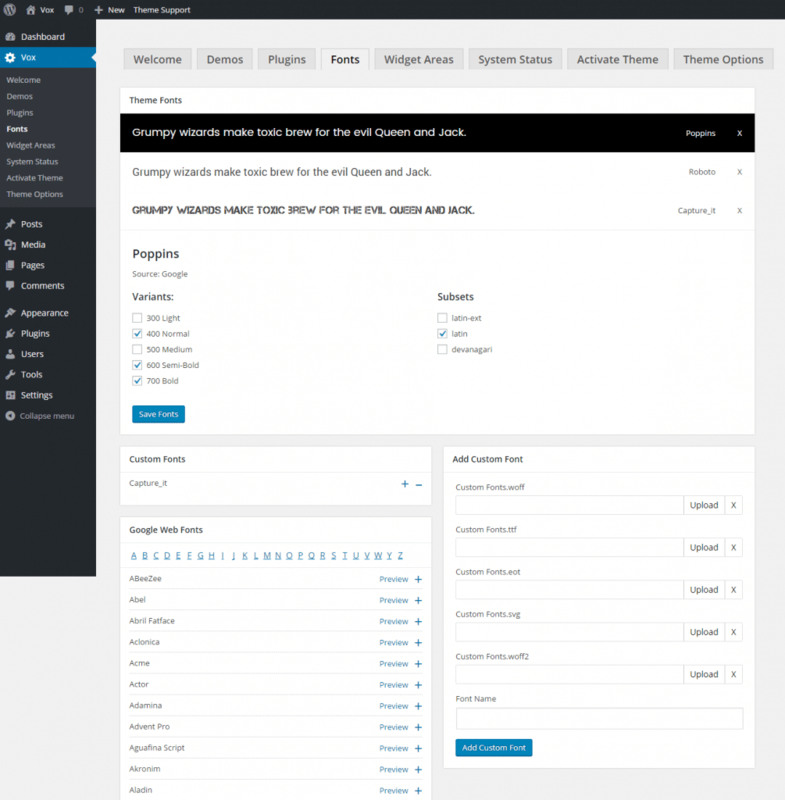 We strongly recommend all our theme users to use the latest version of WordPress, and properly config your server settings before working on creating your website. Once the theme is installed, you can check your system information from Lava > System Status page. Once you’ve done that, go to Lava > Demos section, click the Install button to import your selected demo. After importing the demo, you may also want to import the demo slider on homepage. Go to Masterslider > Masterslider and click on the Import & Export button to import the demo slider. demo_masterslider.json is located in the Demo data folder of your theme package. 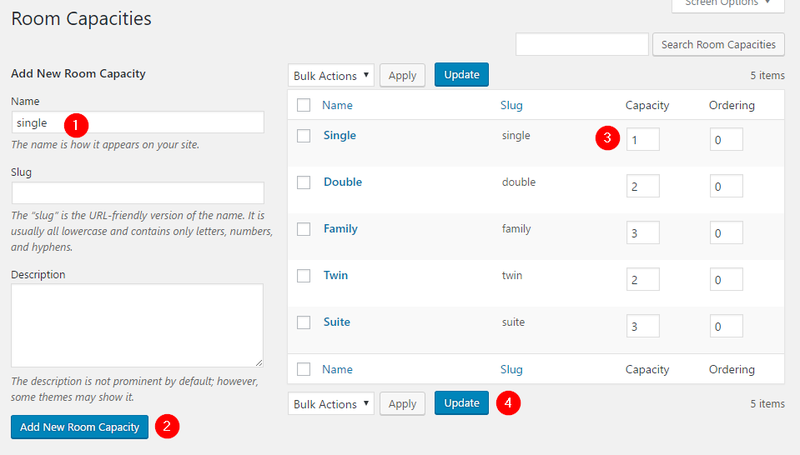 Lava currently offer 4 header styles, follow the steps below to change your header style. Small Logo – an alternative logo used on mobile screen or when the header is in sticky state. If small logo is not set, main logo will be used instead. 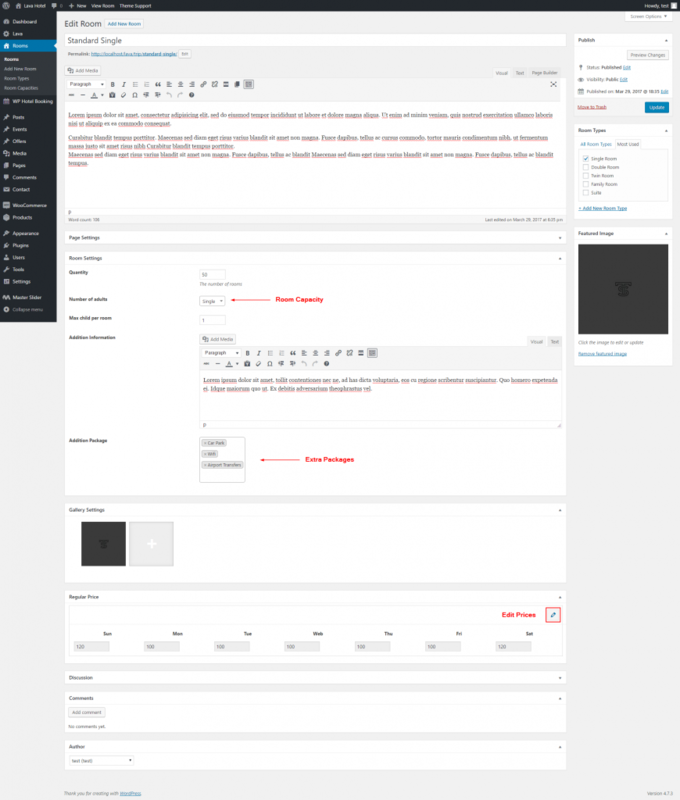 Lava theme uses standard WordPress menu system for navigation. To setup your menu, go to Appearance > Menus page. 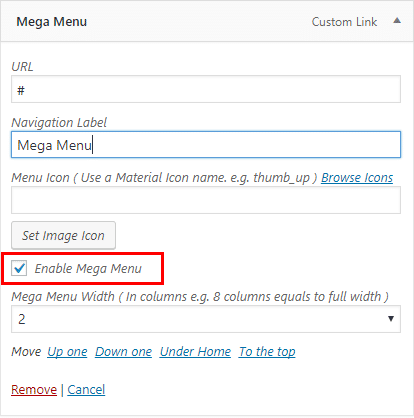 On the first level menu item, check Enable Mega Menu option. Second level menu items also act as the column titles, hide the title by checking the Hide Text option. You could either use icon font or an image as menu icon. To use an image icon, click on the Set Image Icon button to upload your image. CTA button only show on Header Style 2 and Header Style 4. Both of the buttons can be edited in Appearance > Customize > Header section. Lava theme divided footer into top and bottom sections. Top section is columnized widget areas that can be edited from Appearance > Widgets page, while bottom section displays customizable copyright info. Footer top section can be enabled/disabled independently. 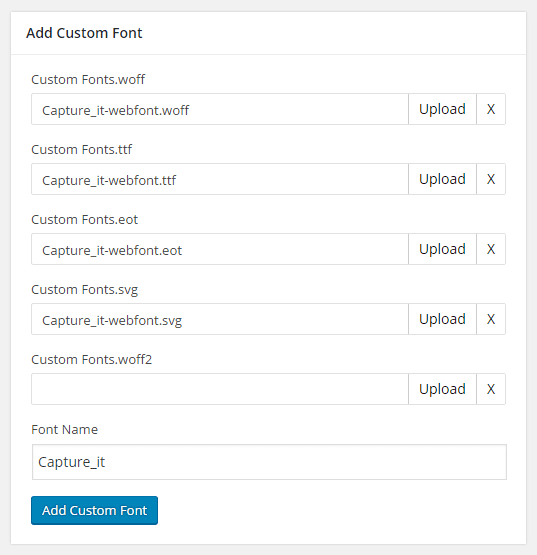 Go to Appearance > Customize > Footer section to change footer settings such as copyright info. Lava allows you to create unlimited number of widget areas / sidebars, and these widget sidebars can be assign to varies WordPress templates and individual posts/pages. Go to Lava > Widget Areas tab. Click Add New Widget Area button after naming your sidebar. New widget area / sidebar will show on the right side of widget creation box as well as on Appearance > Widgets page where you can add new widgets to this widget area / sidebar. To remove a sidebar, simply click Remove button within your widget box. Setting up your home page is the same as setting up any other regular pages, except that you need to specify in the settings which page will be your Home Page. If demo installer is used, this step can be skipped. Choose the page you want as your home page from the Front page drop down list. Choose the page you want as your blog page from the Posts page drop down list. Page header is by default displayed on top section of every page. 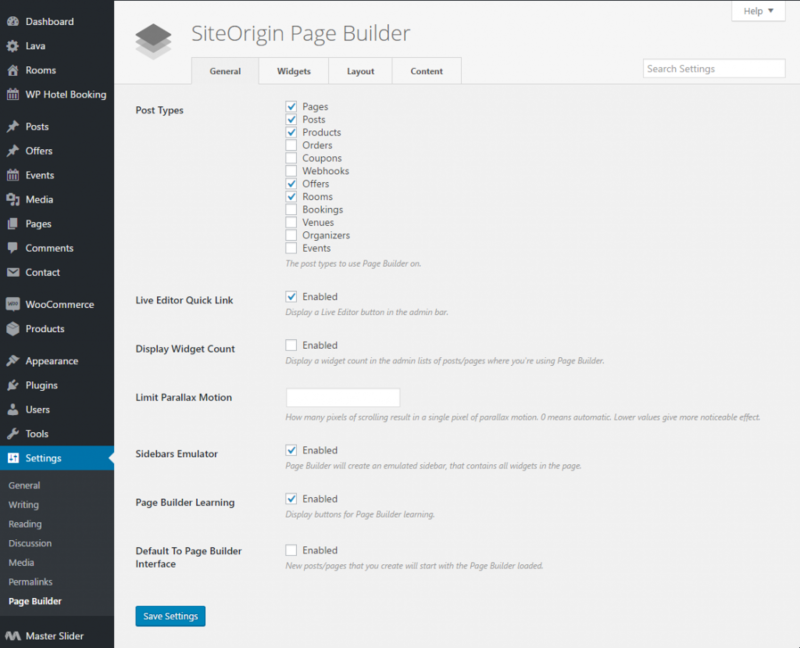 You may also choose to display a slider or hide the page header completely on single pages. If you only want to display the navigation ( Header Style 2 ) in the header area, please select “Placeholder” option. 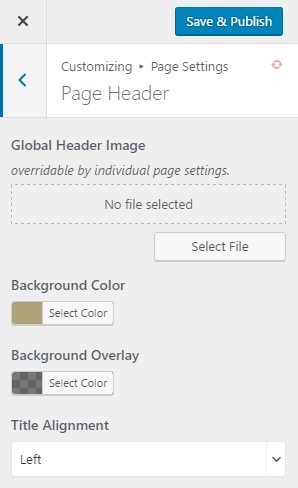 Global page header image can be set from Customize > Page Settings > Page Header section, this is the default header image for all pages. Blog page header image can be set from Customize > Page Settings > Blog Page section. 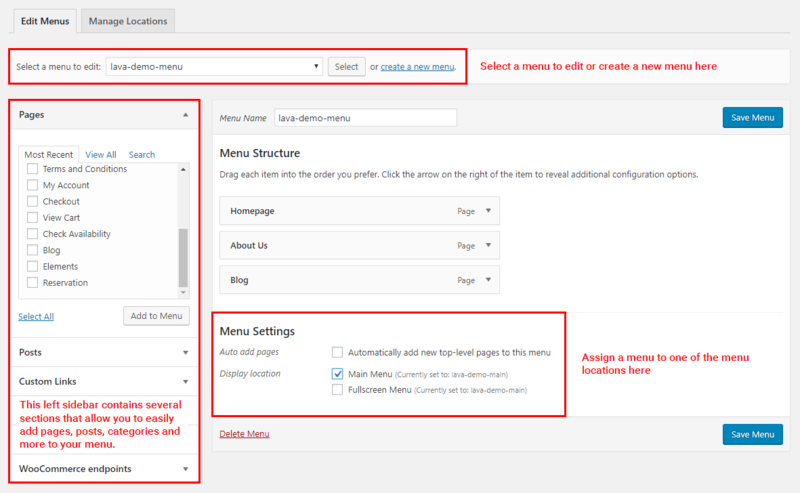 Posts/page header image can be set on Page Settings metabox on Post/Page Edit page, this will also override the global header image. To display Master Slider on a page, you will also need to enter the slider shortcode. You could tweak your site’s colors from Customize > Color Settings. 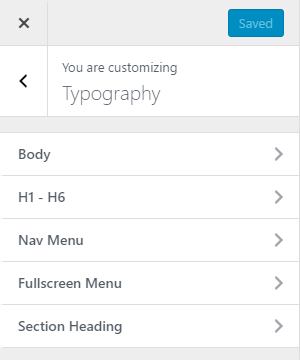 Navigate to Customize > Typography to customize your site typography. 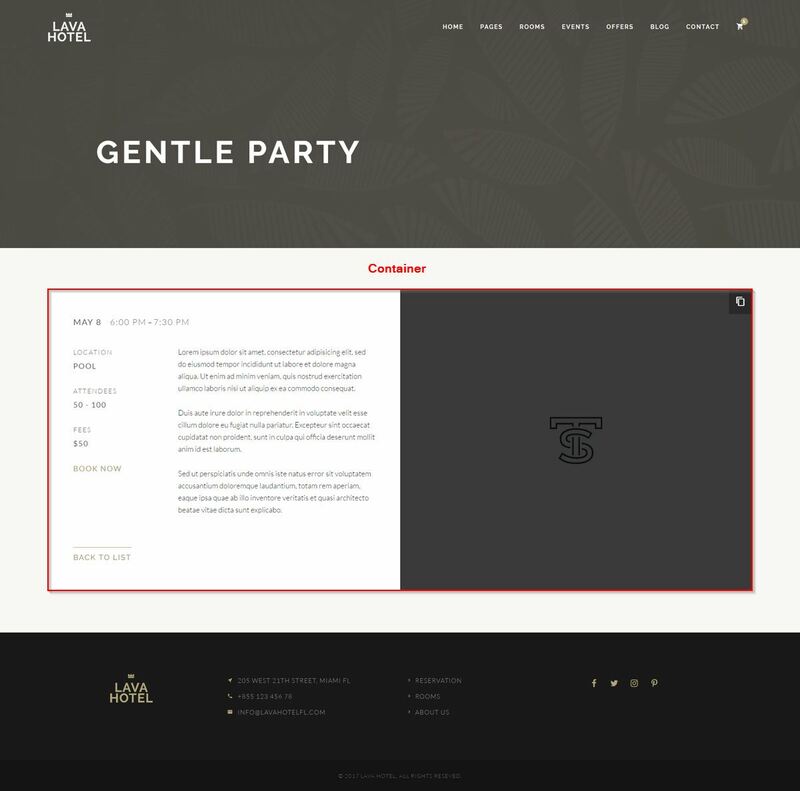 Lava has an ease-to-use font system integrated seamlessly with the theme. It’s easy to use custom fonts with Lava, you could literally install any font to your theme through theme’s custom font system. Step 2. 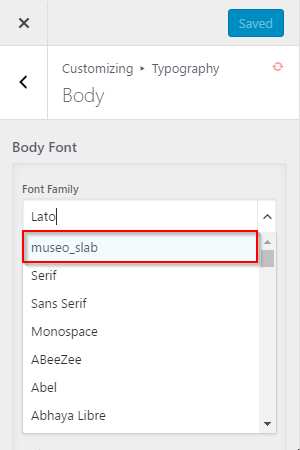 Go to Lava > Fonts, find Add Custom Font section. Click Upload buttons to select your font files from your computer and give your font a unique name. 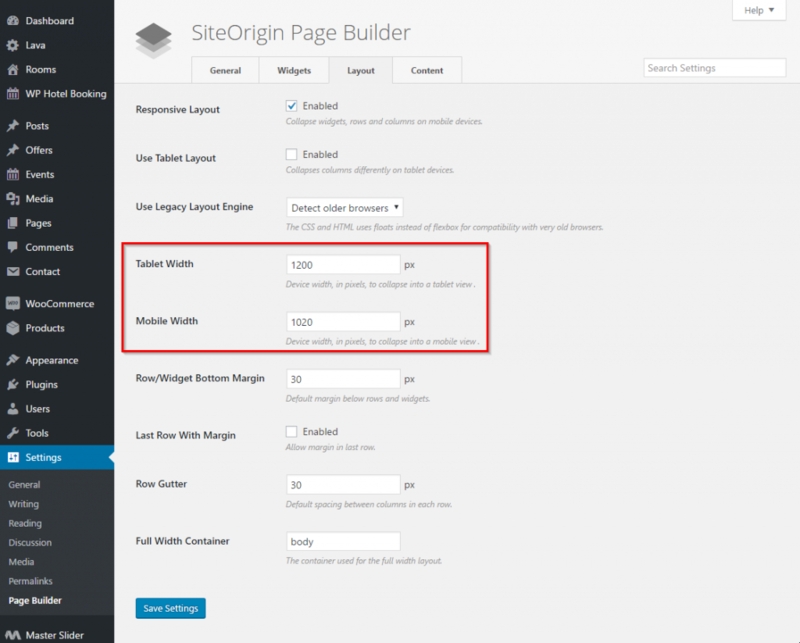 Lava is integrated with SiteOrigin Page Builder – an awesome content creation interface. Read Page Builder Documentation to get a grasp of how to use this plugin. 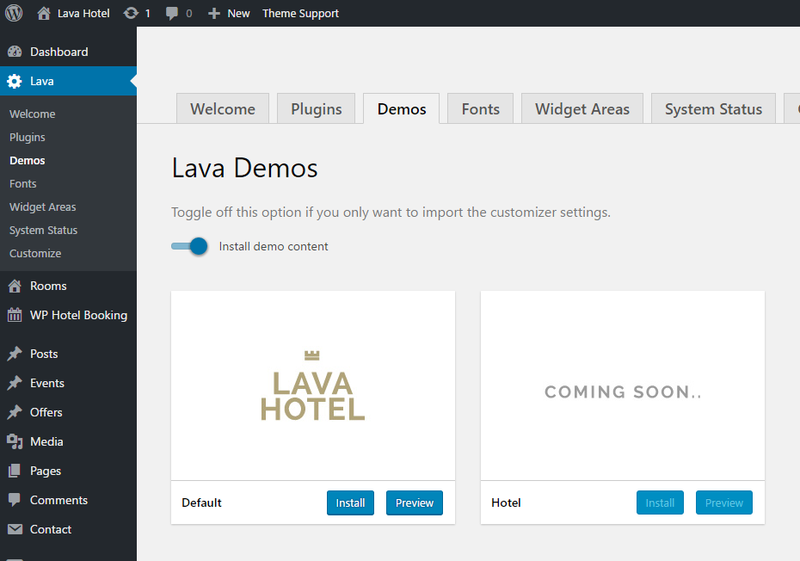 Aside from default widgets provided by the page builder plugin, lava comes with 20 custom widgets. To locate the custom widgets simply click + Add Widget button and click Lava Widgets tab on the pop up window. 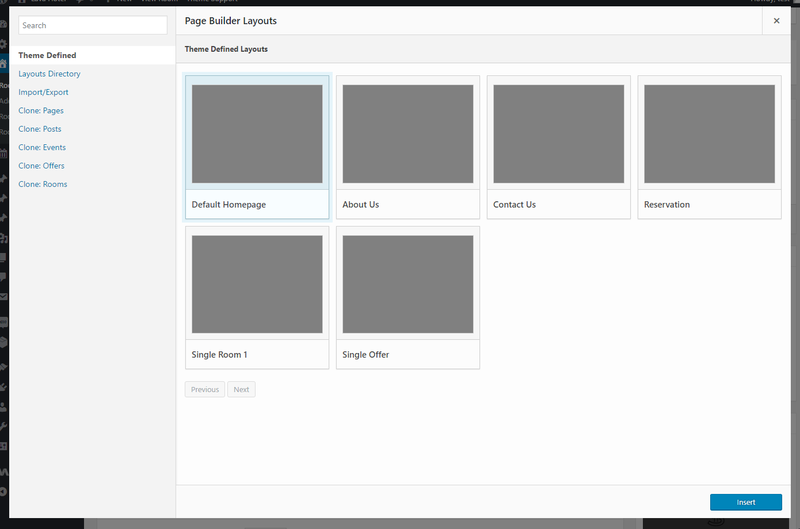 Lava comes with 6 prebuilt page builder layouts, which makes page building process much easier. By default, page builder is not enabled for Offer and Room post types, you want to enable them in order to use them in post edit screen. 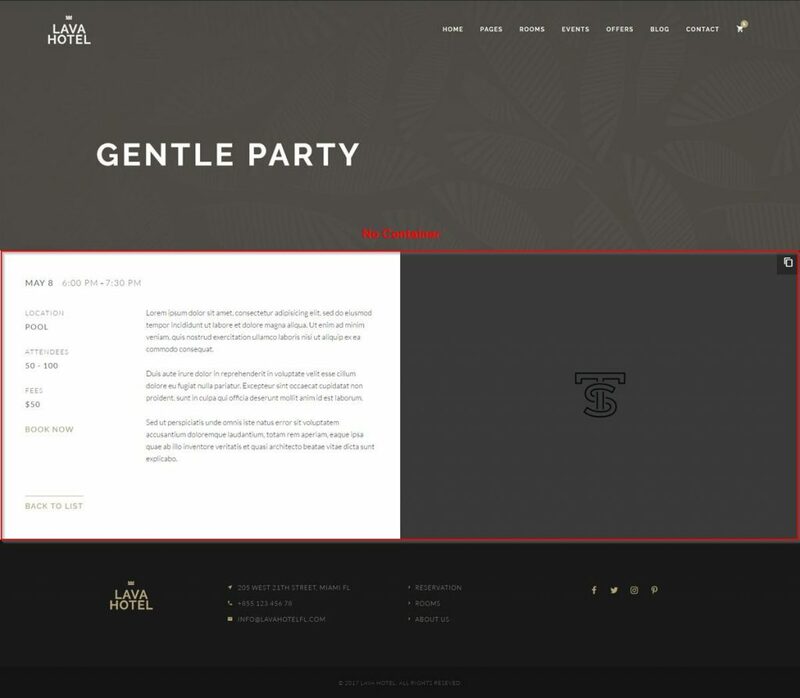 Because we’re using full screen layout, we recommend to widen the responsive break point for tablet and mobile width to 1200 and 1020 for better viewing experience. Navigate to Room > Room Capacities. Enter a room capacity name and click Add New Room Capacity button. Change the capacity value of your newly created room capacity. Go to WP Hotel Booking > Additional Packages. Click Add another item and fill in the package details. 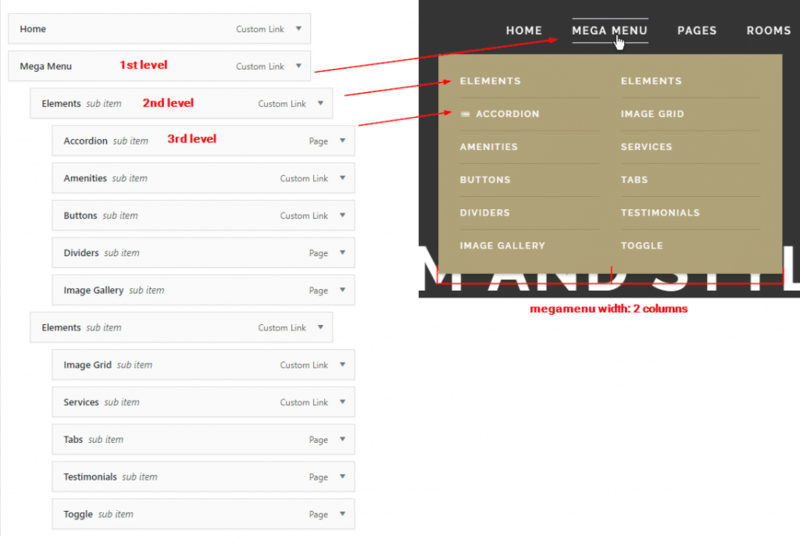 Room Layouts – Lava offer 3 room layouts – sidebar right, sidebar left, custom, it can be edited from Page Settings metabox. Room Subtitle – optional subtitle displayed below the main room title, it can be edited from Page Settings metabox. 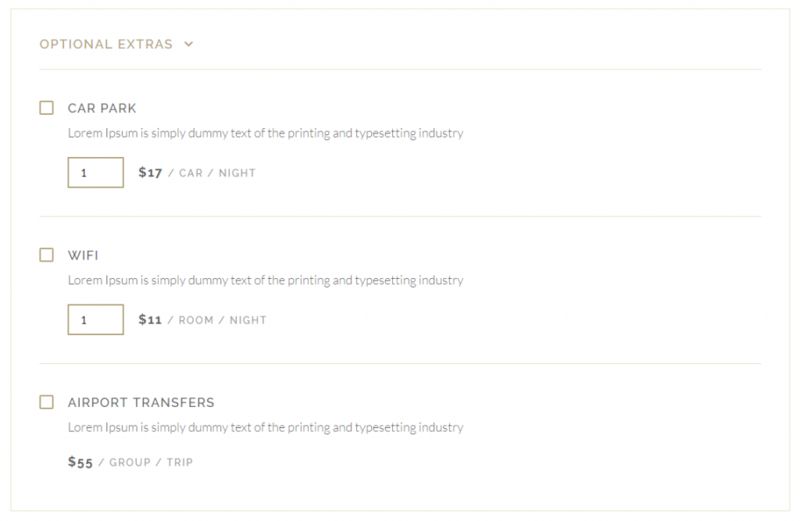 Navigate to Appearance > Customize > Hotel Booking > General. Enter the room & room type slug you’d like to use, and click Save/Publish button. 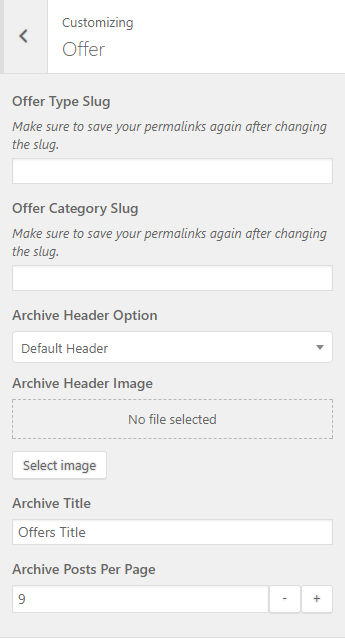 Navigate to Settings > Permalinks, click Save Changes button. This will activate the new slugs. Navigate to Appearance > Customize > Hotel Booking > General > Price Prefix option. Enter the text you’d like to add e.g. “From”, and click Save/Publish button. 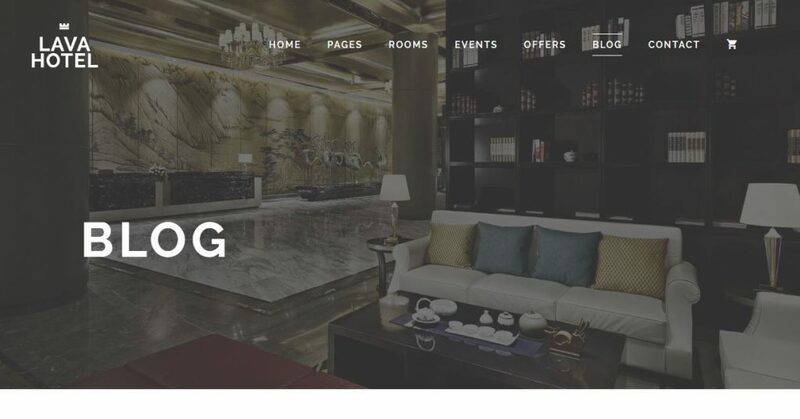 You can extend plugins function by installing additional plugins provided by WP Hotel Booking, you can install these plugins on Appearance > Install plugins page. To use Offer post types, you must have Custom Post Types plugin activated. Navigate to Offer > Add New. Fill out post content and Offer Info, such as offer price and offer price unit. Click Publish/Update button to save the post. Go to Customize > Offer to make these changes. Go to Appearance > Customize > Custom Codes section. 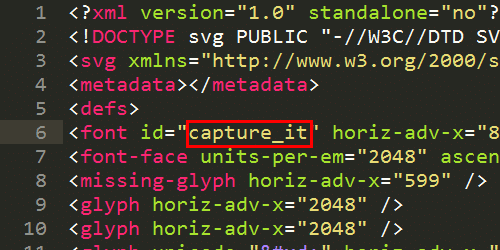 Add your before </head> code under Header Code. e.g. Google Analytics and click Save button. Go to Appearance > Customize > Custom Codes section. Add your before </body> code under Footer code and Save. Go to Appearance > Customize > Custom Codes section. Enter your CSS code under Custom CSS and Save. 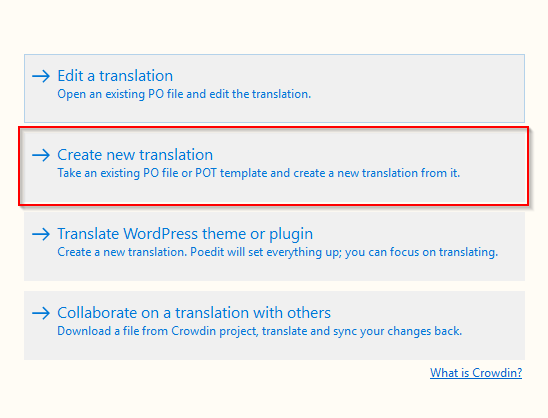 Upload the translated PO file to theme’s languages folder. Select the lava.pot file from theme languages folder ( lava/languages/ ) and click Open. Upload these files (.po and .mo) to lava/languages/ folder on your server. That’s it! For multilingual sites, we recommend to use plugins like WPML and Polylang. These plugins are well-known solutions for multilingual websites and it’s popular among WordPress users. Lava theme is compatible with these plugins.